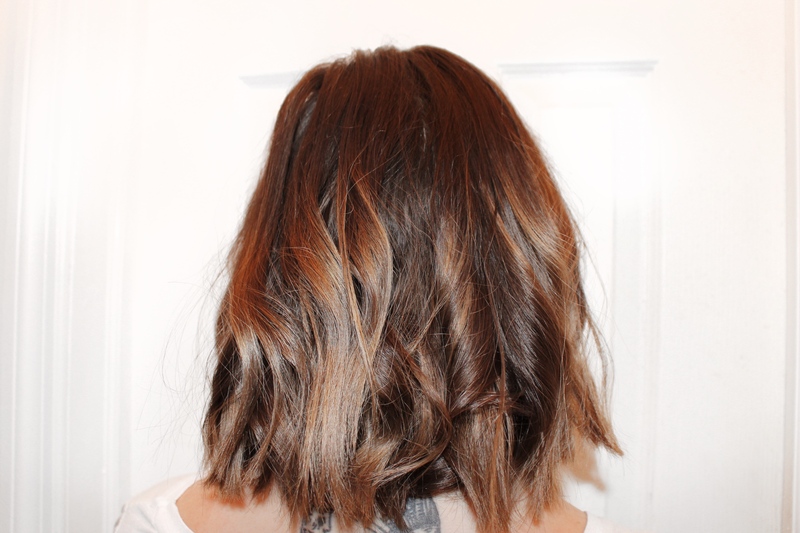 Do you ever wonder how to get that effortless wavy short hair ? I know I did, which is one of the reasons I chopped my hair. Short hair is so in. 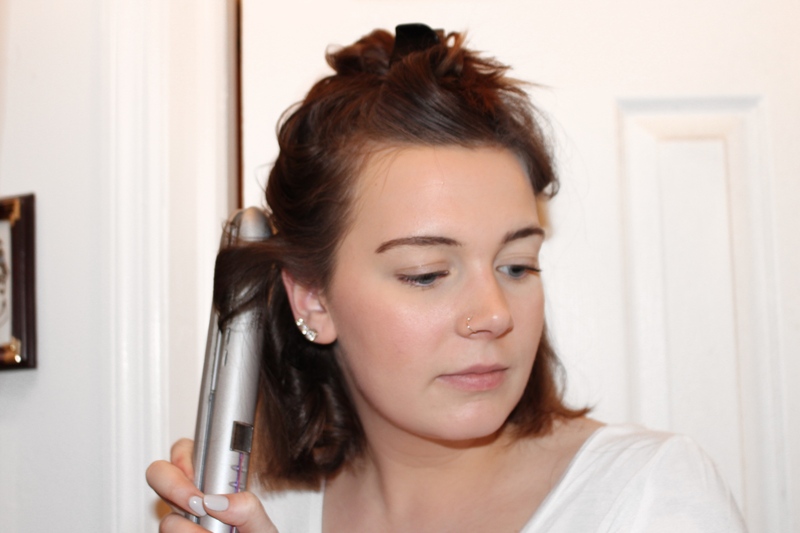 All the celebrities have the short cut and do the cute effortless waves. I finally have mastered the look and I am ready to share it with all of you! 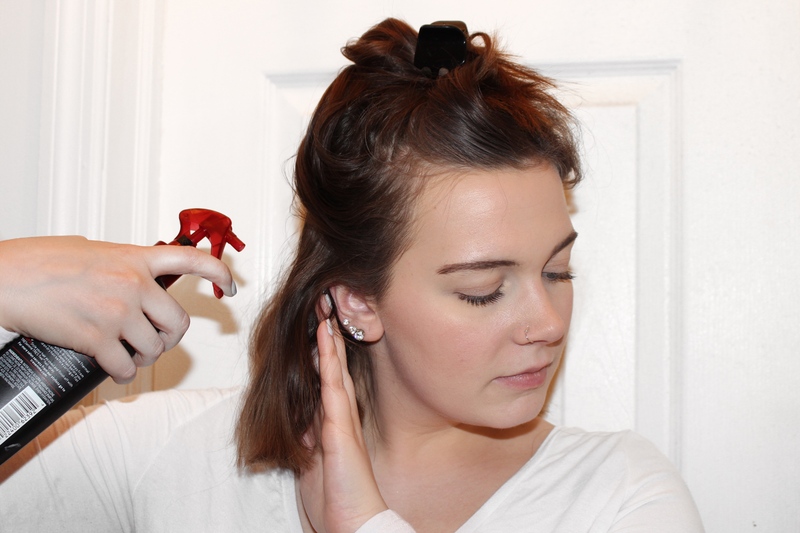 This look is super easy, effortless, and trendy! 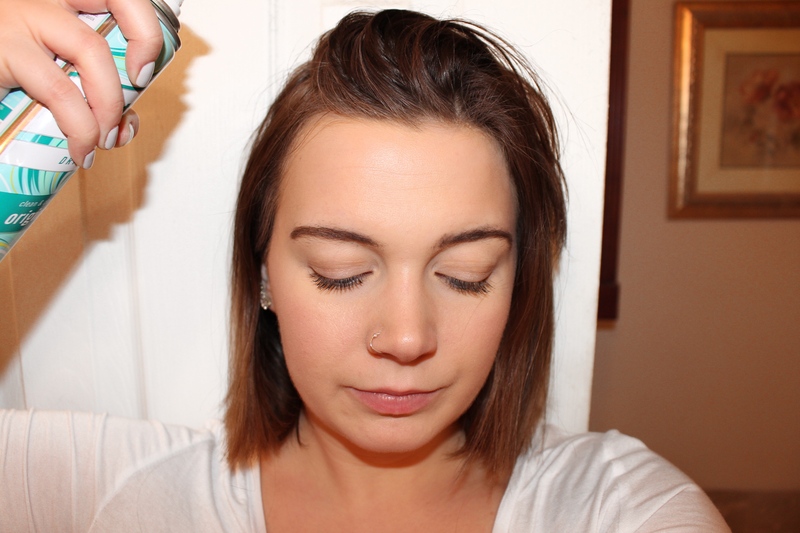 Follow along with me to achieve this look! 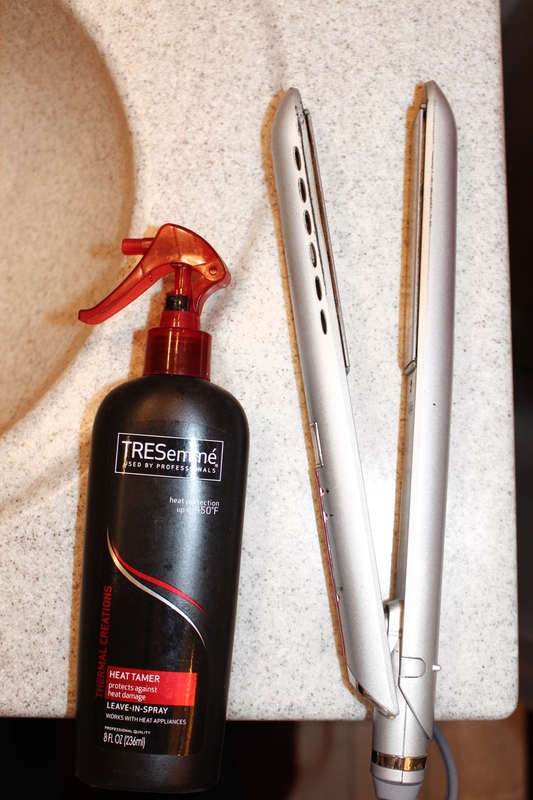 Heat Protectant – I use the TRESemme Thermal Creations Heat Tamer Leave In Spray. 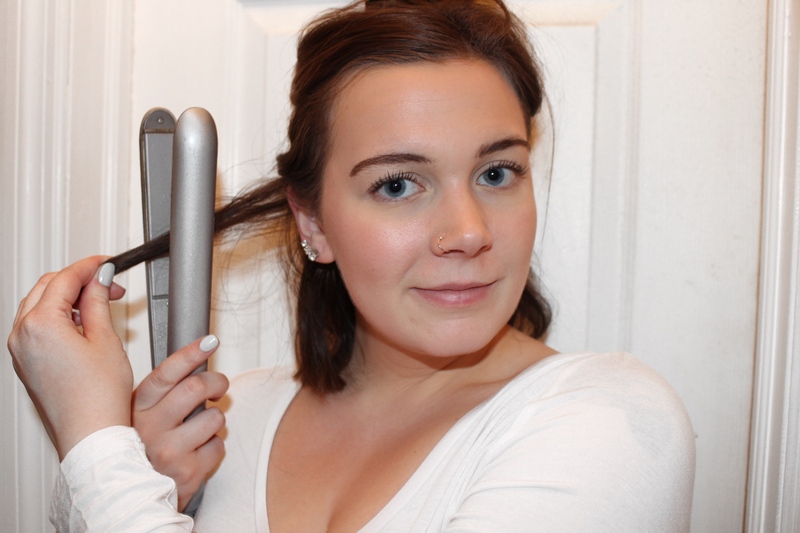 Start by applying dry shampoo to your roots and heating up your straighter. Then section off your hair (I do 3 sections, the first is shown in the picture above) 1st section is behind my ears, 2nd section is at my temples and the last section is the top layer of my hair. 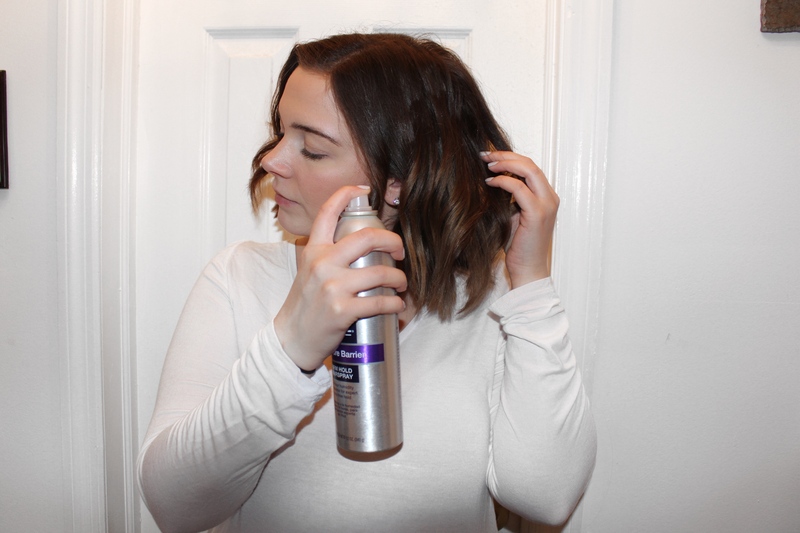 Spray your heat protectant (do this separately for each section to make sure it evenly distributes throughout your hair). 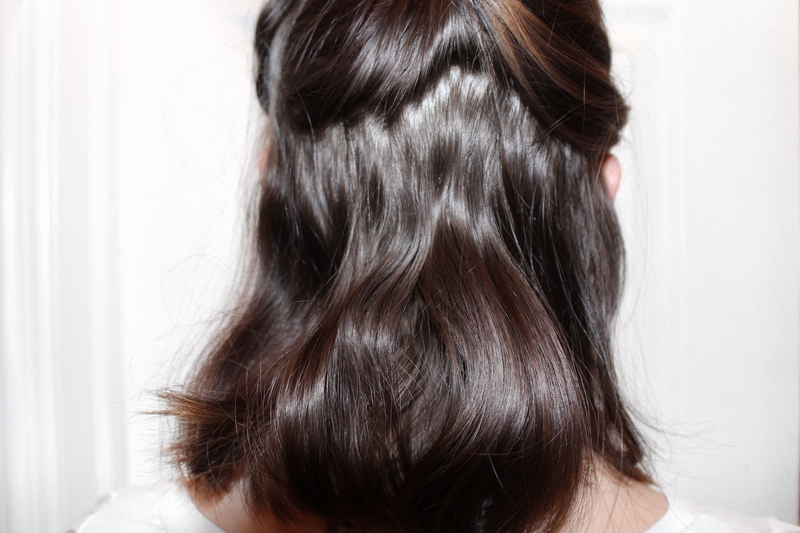 Do this for all 3 sections until all your hair is curled. 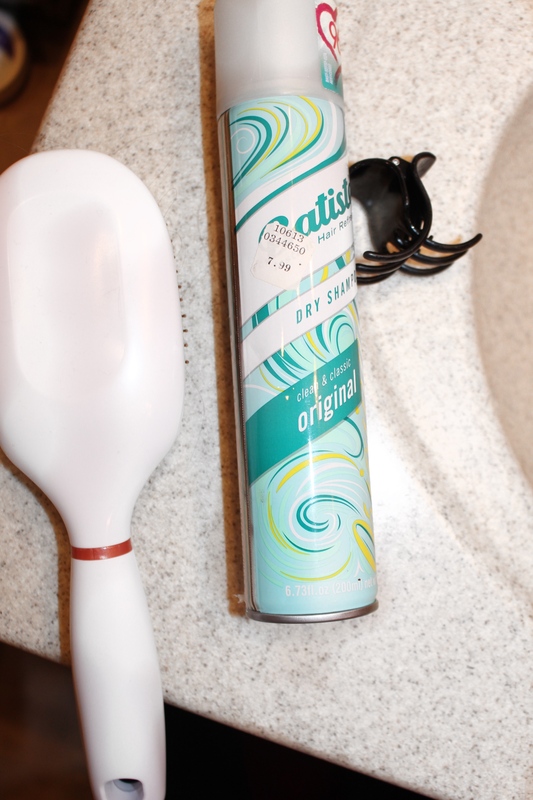 Once finished let the curls cool for 5 minutes then, spray hairspray and tousle the hair with your fingers to “mess” it up. This was so helpful!! Recently cut my hair short and there’s days where I struggle to know what to do with it. Thanks for this!